I'm a researcher. I love practical books that tackle subjects. 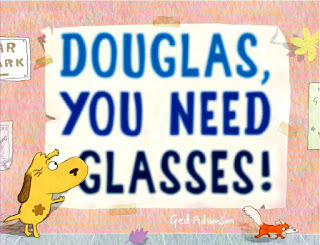 Douglas You Need Glasses by Ged Adamson is just that sort of book. This book is a funny look at needing glasses as Douglas is a dog that is making a lot of mistakes because he can't see well. Then his owner takes him to the eye doctor and gets it sorted out. Of course not before we see him do some silly things like chase a leave thinking it is a squirrel. We all know that dogs don't wear glasses but many children do. This is a great book to help make that transition easier by seeing in a humorous way why it is important to see. As the back of the book is a spotlight of many children sporting their glasses showing that it is just a natural part of life. As a glasses wearer myself I just love this! Don't have a child with glasses? No worries this story holds it's own with laughable moments and great illustrations. Super cute read! Little Douglas is a pretty happy-go-lucky dog. He enjoys chasing squirrels, watching television really close to the screen, and being out and about in the neighborhood. But in reality, Douglas’s squirrels are falling leaves, he watches TV up close because he can’t see things far away, and his poor eyesight has even led him right into someone else’s house. All of this results in a trip to the eye doctor, where one pair of stylish glasses gives Douglas a whole new view of the world—a CLEAR view. Filled with colorful spreads, DOUGLAS, YOU NEED GLASSES! is a funny story that all kids can relate to. 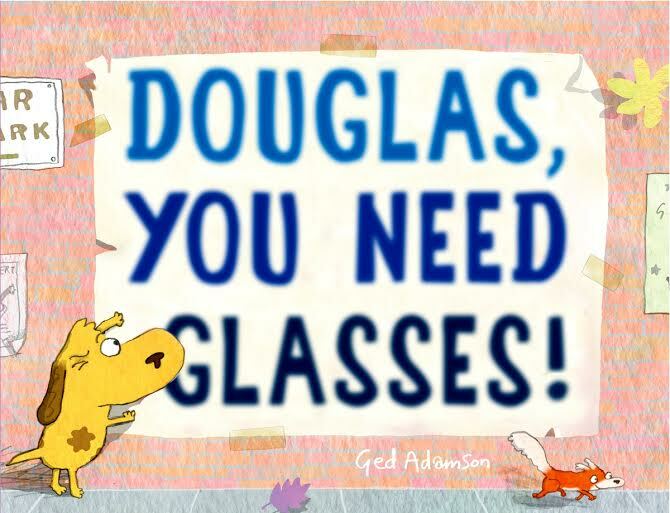 With an endearing main character, and proof positive that a visit to the eye doctor can be life-changing, Adamson’s charming picture book is sure to be a hit with the youngest of readers, who will fall in love with Douglas and beg for the book to be read again and again. Get your copy of Douglas, You Need Glasses at your local book retailer or online at stores like Amazon. A very good book.Nice sharing information You can visit Eye doctor in Westchester to get the best eye care.